Croatia has not yet developed a system for VPL on national level and, accordingly, the national institutional framework for validation has not yet been fully defined and there is no single institution responsible for validation. Consequently, there is currently no overarching approach to validation in Croatia, although some common practices have been established in different sectors. However, since 2010 significant steps have been taken in terms of setting up a legal framework for the national VPL system. 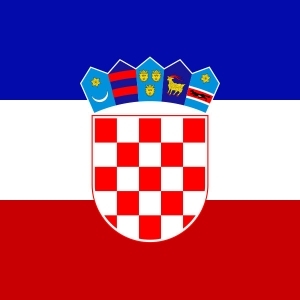 In March 2013 the Croatian Qualification Framework Act was adopted, establishing the Croatian Qualification Framework (CROQF) with reference to the EQF. Developing a system of recognition and validation of non-formal and informal learning is one of the objectives of the CROQF Act and the Act provides the foundation on which the national VPL system, encompassing all levels of education (VET, HE, Adult Education), will be built. Besides establishing the CROQF, the CROQF Act also defines Sectoral Councils and stipulates development registers of qualifications standards, occupational standards and units of learning outcomes as pre-requisites for the development of the national VPL system. The CROQF Act also stipulates development of the Ordinance on Recognition and Validation of non-formal and informal learning, which will define in detail the procedures for application, recognition and validation of prior learning on all levels of education. In HE institutions VPL is used for two purposes – for the admission to HE programmes and for assessment of learning outcomes with the aim of allocating the appropriate number of ECTS credits in the framework of accredited study programmes. The Croatian Qualification Framework Act (CROQF Act), the Act on Science and Higher Education and Education, Science and Technology Strategy form a framework, on which HE institutions can build VPL. Only a few HE institutions have developed internal ordinances as guidelines for non-formal and informal learning of students. Examples include Polytechnic Sibenik and Faculty of Economics at the University of Rijeka, which have both built their system on the basis of the CROQF Act. Several other HE institutions (e.g. the University of Zagreb) are working on establishing a VPL system. In certain sectors, validation of prior learning plays an important part as a pre-requisite as well as a kind of a quality assurance mechanism for certain regulated professions, as defined by sectoral legal frameworks. There are several approaches to validation, specific to each sector. The Croatian Employment Service (CES) practices skills audits for unemployed people, which are used for matching the needs of the employers, searching for workers, with the profiles of the jobseekers, as well as for developing the “professional plan” of the unemployed. The Volunteering Act (2013) has recognised the need for validation and valorisation of volunteer work (especially for youth) – now the Certificate of Competences acquired during Volunteering can be issued to volunteers, specifying, among others, trainings undertaken during the volunteering period and description of competences acquired during volunteering. This Certificate is not based on a validation process and has no formal role, but its purpose is to present a list of competences gained during volunteering to a third party (e.g. a future employer). Some third sector organisations have also registered as adult education institutions and are thus able to officially validate competences of their volunteers. In some cases in HE institutions (e.g. University of Zagreb), ECTS credits can be awarded to students on the basis of volunteer work. There is currently no specific national funding framework for validation. In relation to existing sectoral validation practices, where pre-requisites for performing certain types of jobs are required, the costs of the VPL process are covered by the individual.